Play golf right in your own living room. 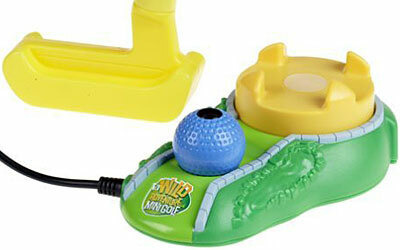 Turn your TV into a virtual interactive mini golf experience. Easy-to-use plug-and-play technology means you can set up and be ready to go in no time. Play mini golf underwater, deep in the jungle, and even in outer space.